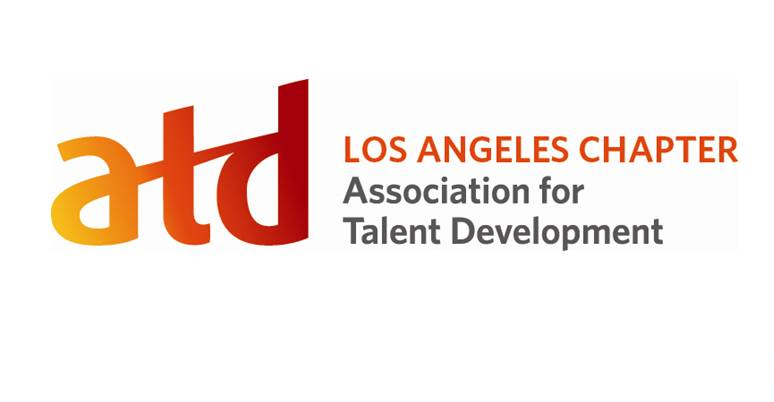 The Association of Talent Development, Los Angeles Chapter (ATD-LA), is one of the largest nonprofit chapters of ATD across the nation. Formerly known as the American Society for Training and Development. We proudly provide high quality development and networking to a committed membership of executive coaches, educators, instructors, training leaders and organizational development professionals. ATD-LA members work in a variety of industries within the greater Los Angeles area, including Fortune 500 companies. We are currently looking for sponsors to support a wide range of opportunities. ATD-LA is a 501 (c)(3) professional association and financial support may be tax-deductible as a business expense. Please consult your tax-advisor. A study indicated that over 71% of our members are female. Nearly 50% have been in training and development for longer than 10 years. Additionally, around 15% of our members are decision makers or leaders within the industry. The highest overall interest areas for professional development activities included (in order): Consulting skills, training & delivery best practices, organizational development, leadership development and human performance improvement. Advertising and sponsorship of events can be an effective marketing tool for your company because we can reach a wide range of audiences in the talent development industry. Or complete the interest form at the bottom of this page. By Credit Card: We accept all major credit cards. We track our web site traffic with Google Analytics. Please call for the most current information. Position: Right side under the join now button. Approximately 1,600 impressions/page views per month. Because ATD-LA is a leader in the industry, our website is a referral point for anyone looking for YOU. Promote your consulting business with a web banner or Chapter Weekly Email. Our “Chapter Weekly” eblast goes to a list of T&D and HR-related professionals, students and industry contacts. The eblast is distributed midweek. Files are due on the Monday before the Wednesday distribution date. Distribution: Approximately 4,000 OPTED-IN recipients with a 15% open rate. Click here to view sample email. ATD-LA can send a dedicated direct email to our email subscriber list using your pre-formatted content on your behalf. ATD-LA will only send one direct advertising email per month. All direct emails will be pre-screened and must have content relevant to our membership and the Training & Development (T&D) community. ATD-LA reserves the right to refuse sending any email that is contrary to the mission and values of ATD, ATD-LA or the T&D community. Requests for direct email advertising are processed and approved according to these standards, and on a first-come/first-serve basis. Direct mail content must be provided in html format, ready to paste into Constant Contact. ATD-LA cannot provide formatting or coding support. 4 or more $180 ea. 4 or more = $190 ea. Depending on your type of donation or the value of the items you are providing, below is an example of various sponsorship levels. Monetary commitment negotiable based upon the nature of the event, including the venue, cost of admission and refreshment provisioning. Our membership services an expansive geographical territory and our members reside across the Los Angeles to Santa Barbara county lines. To better support face-to-face events, like Board and chapter meetings we are looking for no-cost venues. Venues can be of different sizes and locations. Become a host! If you are able to host and have a conference space, please contact us. Special host rates at events may be offered on a case-by-case basis. When your business offers ATD-LA members a discount, the impression of your brand can be top of mind. Offering a discount creates a positive impression about your company among people in and outside of the profession. Click here to access the online payment form and get started.